The Nevada Board of Regents today elected Allison Stephens to serve as vice chair of the 13-member higher education governing body. Stephens’ term is effective today through June 2017. Elections for the 2017-2018 chair (currently held by Rick Trachok) and vice chair are scheduled to take place at the June 8-9, 2017 meeting. Stephens was elected to the Board of Regents in 2012 from District 4 in Clark County. 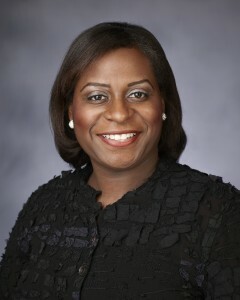 She currently serves as chair of the Audit Committee and is a member of the Academic, Research and Student Affairs Committee, Community College Committee, Health Sciences System Committee, ad hoc DRI President Search Committee and the ad hoc Chancellor Search Committee. She is also the Board of Regents representative to the Nevada State Board of Education. In July 2013, she was appointed to the Subcommittee on Governance and Funding, part of the Nevada Legislature’s Interim Study Concerning the Governance Structure of and Funding Methods for Community Colleges. In 2015, Governor Sandoval appointed Regent Stephens to serve a three-year term on the Nevada Commission for Women. She was elected in 2016 to serve a two-year term on the Nevada State Democratic Central Committee and a four-year term as the DNC National Committee Woman for Nevada, making her a superdelegate in the 2020 Presidential election. Professionally, Stephens oversees provider network development for DaVita VillageHealth. In addition to her diploma with an emphasis in Legal Studies from the Advanced Technologies Academy, Stephens holds a Bachelor of Science in health care administration and a Master of Education in health promotion from the University of Nevada, Las Vegas. During her junior year of college, she studied at the Universidad Andres Bello in Santiago, Chile, where she earned a certificate in Spanish. Stephens also completed a self-study certificate in Health Economics through the National Library of Medicine. Currently, she is enrolled at Rutgers University pursuing a Doctor of Philosophy (Ph.D.) in biomedical informatics.